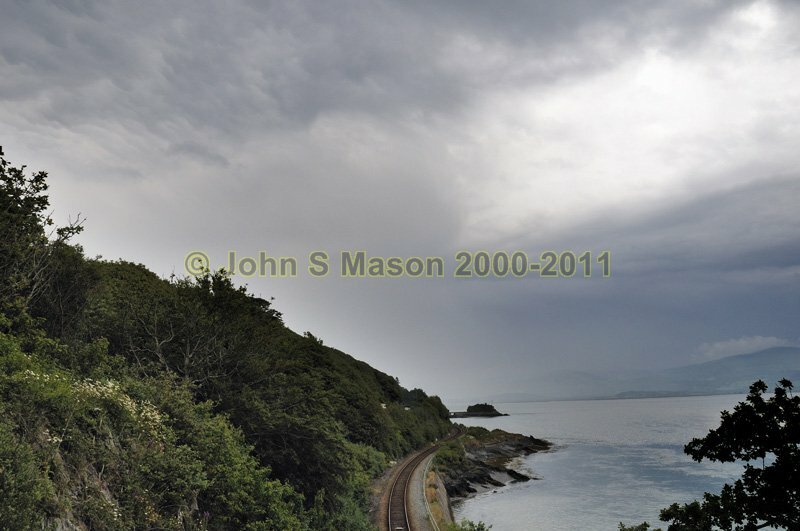 Dyfi Estuary: the Cambrian Coast railway-line heading up-valley at high water, from Picnic Island. A thunderstorm is in progress a little further up the valley. Product number 060924. Email me to enquire about this image: click HERE.